yes boss...... i will do it...... in just 30 minutes...!!!!! trade for something before you buy it. 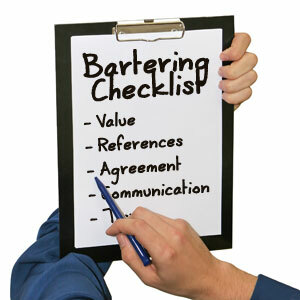 Barter deals usually require little or no money.where as i came to know that Corporate barter exchanges typically use media and advertising as leverage for their larger transactions. 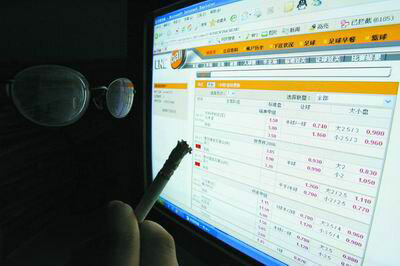 while on the other hand it entails the use of a currency unit called a "trade-credit". The trade-credit must not only be known and guaranteed, but also be valued in an amount the media and advertising could have been purchased for had the "client" bought it themselves. you can also utilize the internet barter also..more like a e-commerce..but be aware...it builds up on the trust of the counter party...there should be some comparable good/services with both of the party to deal with...but risk is very high...also chances of being cheated or dissatisfaction is always there. According to the International reciprocal association the industry trade body, more than 400,000 businesses transacted $10 billion globally in 2008 — and officials expect trade volume to grow by 15% in 2009 . 2. YOU SHOULD HAVE A FOCUSED NETWORK CONNECTION IN HAND...BECAUSE CONNECTION MATTERS..
always try to do networking your business with other businesses. You could trade leads or mailing lists. This will cut down on your marketing and advertising costs. You may also try bartering goods and services with them.A good connection may provide you with great opportunities and long term relationship to climb the ladder of growth.but be flexible and have back ups to fight at the complex market. 3. WHOLESALE/BULK DEALING MAY BE ONE OF THE CONTROLLER. running out of.always try to get orders in bulk quantity and also do try to emphasis on the term economic ordering quantity.as a manager you should have a sound knowledge regarding all such aspects.otherwise the cost factor will over rule you and so on. 4. TRY TO UTILIZE THE FREE STUFFS ON THE INTERNET SITES. yes my dear friends...i think your are getting my points now.You should try visiting the thousands of freebie sites on the internet before buying your business supplies. You can find free software, graphics, backgrounds, online business services etc.it really work and worthy while matter for the business.always try to grab the attention in the market,create positive WOM in the market...as per the recent market research studies people prefer those corporates suppliers or manufacturers with noise in market for their innovation in every aspects.always try to keep the social media in track as it growing rapidly. have just borrowed the equipment from someone else or rented the equipment from a "rent-all" store.don't go for a full ownership of equipments/machinery in this point of time...you should wait until the time being get stable. saying all the time, but before you go pay retail for these items try bidding on them first.yeah..there is always a good opportunities for getting a better deal in the auctions. have big sales. Purchase the supplies when they go on sale before you need them.just think about a company like apple, Accenture,IBM sticks to the outsource solutions..and just imagine...how do they prepare their supply chain system requirements to meet the market demand. 8. TRY TO GET USED STUFF...BUT BE CAREFUL BEFORE GOING FOR IT ..FIRST TRY TO GET THE INFO..WHY DO THEY WANT TO SELL..
at yard and garage sales, used stores, used stuff for sale message boards and newsgroups etc. to try. Pretend you are talking to a salesman at a car lot.go for a win win strategy..it may be help you future also.because a good negotiation can make a real time company.